We have just finished our first proper Christmas Show of the year over at Stratford. It was very strange setting up whilst the usual Christmas hits were playing over the PA system. Slightly disappointed I never heard the Pogues but I'm sure I will hear it many times over the next 50 odd days. I couldn't bring myself to unpack the decorations we bought so left them in the van, they did make an appearance on the Saturday as Mrs W took over and set them out. I travelled up to Solihull on the Saturday to attend the street market on the high street. It turned out to be the best day of the weekend. Took me a while to defrost after standing outside all day but I thoroughly enjoyed it. Made some good sales and met some great people. Back there again this Saturday so will be investing in some long johns. Talking of Christmas we have been working on some gift packs. 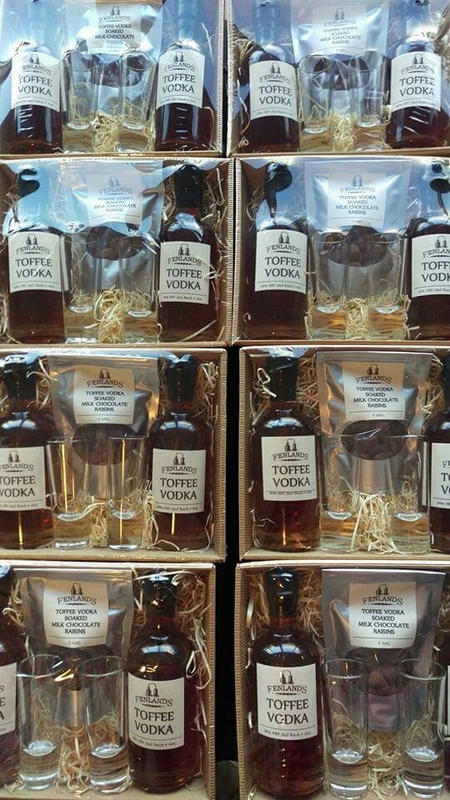 We have put together a Toffee Vodka pack which includes two bottles of Toffee Vodka, a couple of nice shot glasses and a pack of Milk Chocolate raisins that have been soaked in Toffee Vodka. These went down a storm at the weekend so this week will be spent trying to master the shrink wrap machine. Oh and finally for this week we have a new addition to the family. 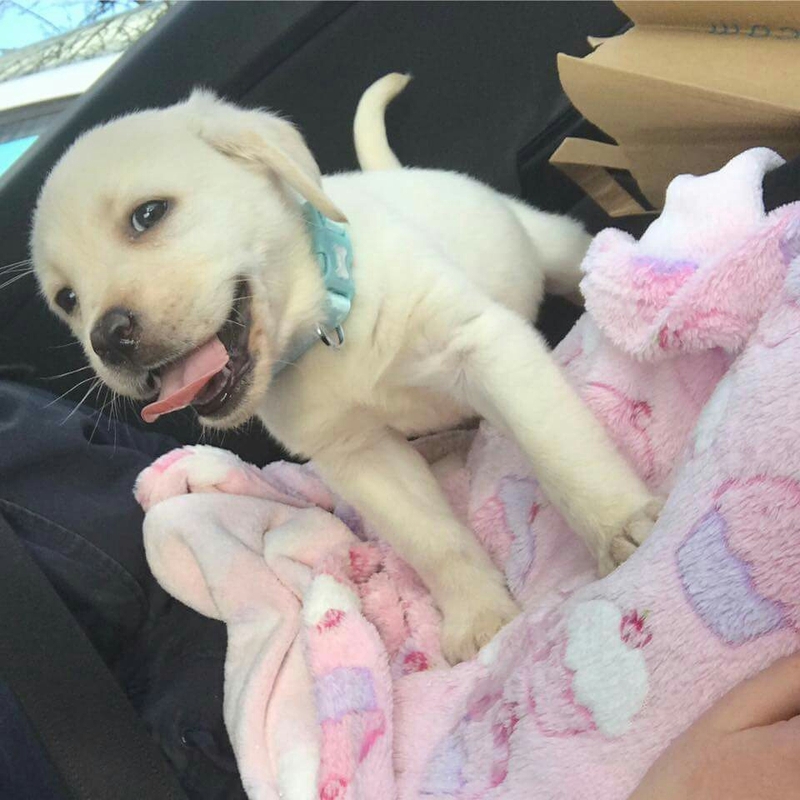 Flo, an eight week old Labrador. I'm sure you will be bombarded with pictures of our adventures with both Ralf and Flo.